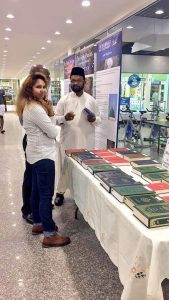 Along with our missionaries, volunteers ranged from the Waqfe Nau students from the University of Guyana, Lajna Imaillah Guyana, Khuddam ul Ahmadiyya and the Ansar. 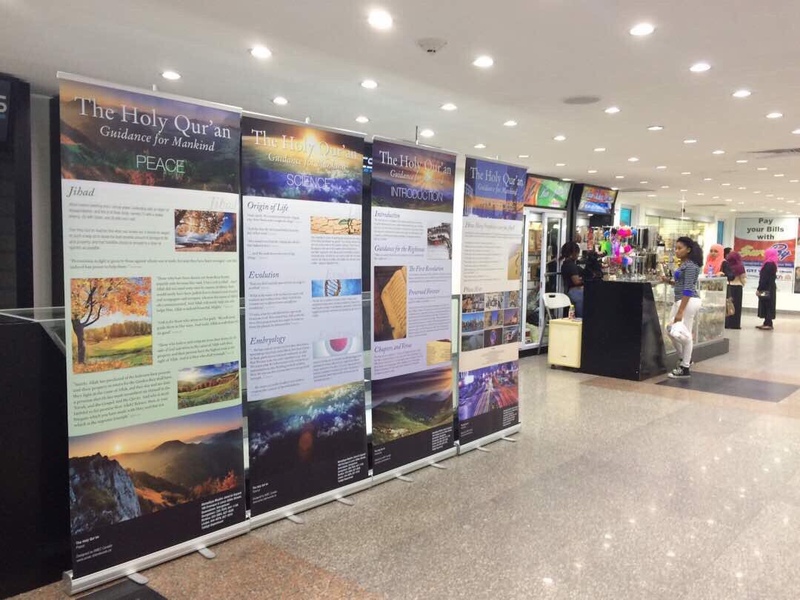 Visitors of the mall perused through the literature and banners on display. 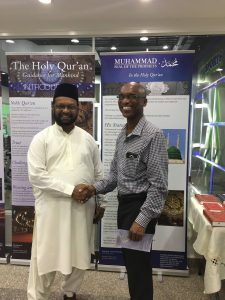 Interested persons of all walks of life conversed with our volunteers on a range of topics. 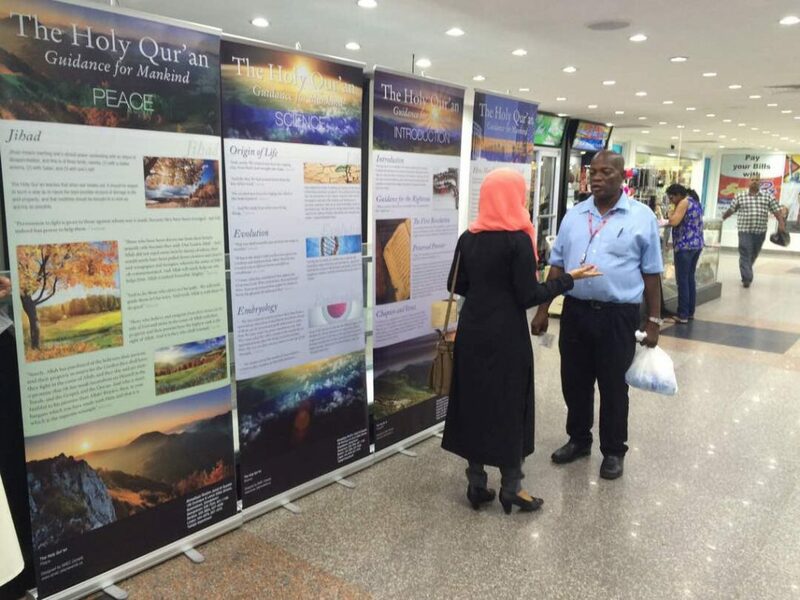 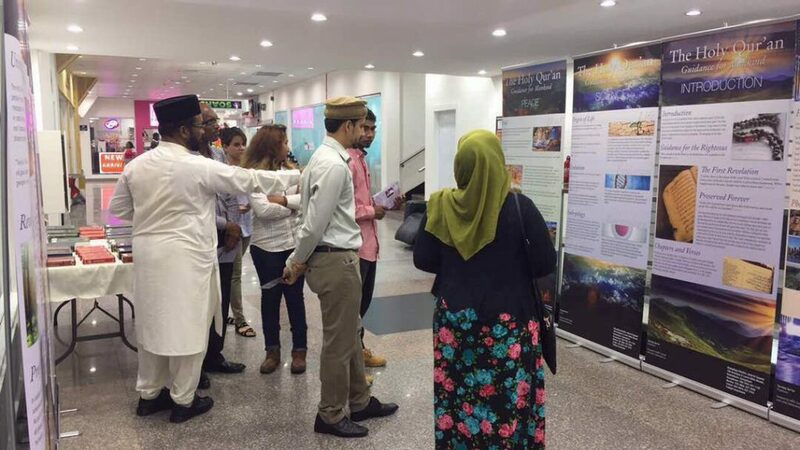 Many misconceptions about Islam were cleared and the true teachings of Islam were presented. 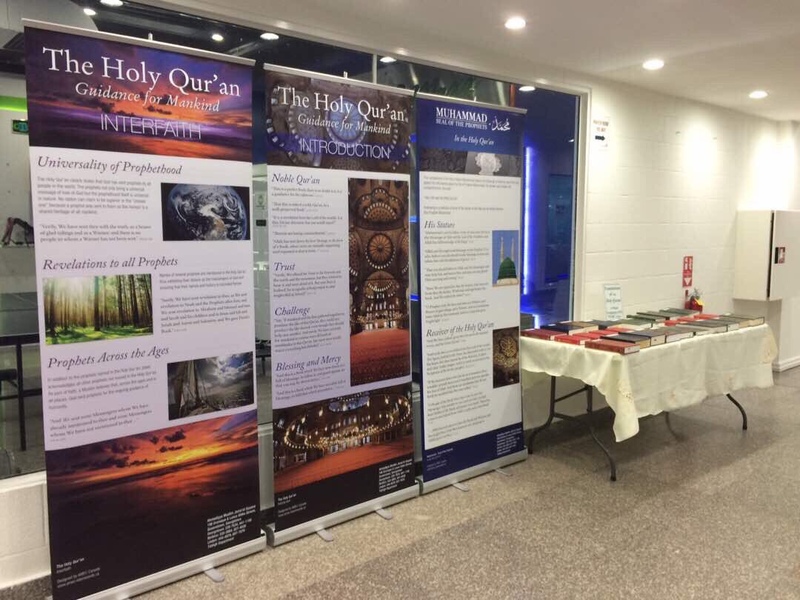 Alhamdulillah, by the grace of God, on this occasion the volunteers were able to distribute approximately leaflets and two copies of the Holy Qur’an were sold.